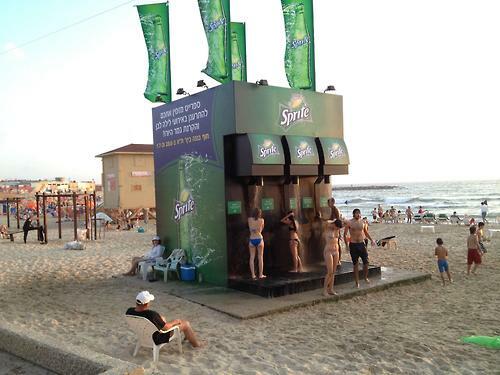 Who wants a refreshing, sticky shower? Anyone? 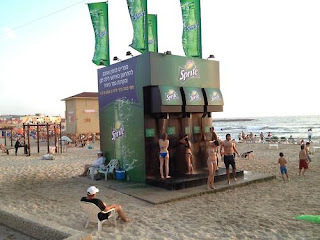 Sprite created a visual outdoor display at a beach by making the showers resemble a giant Sprite soda dispenser. Luckily for the beach-goers it's still just water.